After our week under The Tuscan Clouds, we made our way down to the Campania Region. 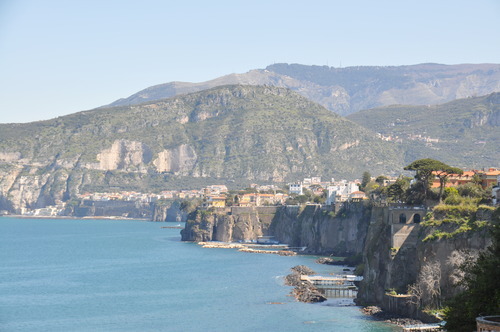 Sunny Sorrento – Where the key attraction isn’t history nor museums nor architecture but the lavish shops; the remarkable pebble beaches; the exquisite view of Mt. Vesuvius and the Limón cello that is waiting to be savored. Aside from that, Sorrento is a major transportation hub in the southern area for ferries, buses and trains which makes it an easy gateway to the places we wanted to visit: Isle of Capri, Pompeii Scavi, Positano and the Amalfi Coast which are right next door to each other. It was such a transition coming from the hushed countryside Tuscany to this resort-like town. Naturally, with all that, we stayed for 4 days in this astounding city.